The entire dispute is one of worldviews. The two views, Secular America and Christianity, are in conflict. Inherent presuppositions mean it is not enough to ask which view is correct. It is also appropriate to consider which one is more rational. Which worldview is more coherent? God has given all men intellect (Gen 2:19-20), and Christianity can be shown to be true by presenting good, persuasive arguments for its central tenants and showing the world makes sense only when viewed through a biblical lens. Ronald Nash observed that men should choose a worldview system which provides the most coherent picture of the world.1 He went on to explain three worldview tests which this essay will apply to the Chick-Fil-A controversy: reason, experience and practice. On the basis of reason, experience and practice, it is clear the secular American worldview which condemns the anti-gay stance as “hateful” is completely irrational. Greg Koukl noted something is “irrational” if it violates clear principles of reason or flies in the face of clearly demonstrable evidence.2 A coherent worldview must pass the tests of reason, experience and practice. If a worldview fails any of these three tests, it is illogical and irrational. Secular America does fail each of these tests; therefore the secular American worldview is illogical and irrational. The Secular American view of morality, broadly represented here by Kenney and Moreno, violates the law of non-contradiction. As Koukl puts it, the worldview commits logical suicide and is self-refuting.3 Kenney and Moreno wrote of intolerance, hate and prejudice. However, if standards of morality are defined merely by culture, then what right do Kenney and Moreno have with which to condemn Dan Cathy for opposing homosexual marriage? Making absolute moral judgments is intolerant and hateful. We must be tolerant and accept everybody. Chick-Fil-A is making an absolute moral judgment by not accepting gay marriage. Therefore Chick-Fil-A is intolerant and hateful. I am making an absolute moral judgment in response to Chick-Fil-A for not supporting gay marriage. Therefore I, too, am intolerant and hateful. Secular America’s own logic contradicts itself. If culture defines social mores, then what right does anyone have to condemn anybody? Values are relative, there are no absolutes! Moral relativism is the logical conclusion of Secular America’s worldview. Without an anchor to define what, precisely, truth and justice are—how can you condemn anybody for doing anything? Why is homosexual marriage right? Why is it wrong? If morality does not have an absolute standard, then how is it even defined? One common objection is that people do not need to refer to God to define what is good, right, or wrong. Apologist Douglas Groothuis observes this is correct but irrelevant. “The moral argument has nothing to do with how people typically use or define moral terms; instead it addresses the justification of moral claims.4 Prominent apologist and philosopher William L. Craig observes he has been astonished about the confusion over this issue, even among professional philosophers.5 The distinction is between moral epistemology (our knowledge of moral truths) and moral ontology (the reality of moral truths). Secular America has no rational ontological basis for moral values, the Christian worldview does. A worldview must be relevant to what we know both about the world in general and ourselves. Nash labels these the inner and outer worlds, and observes that no worldview deserves serious consideration if it ignores, or is inconsistent with, human experience.6 Does a particular worldview fit what man knows about the world around him? Does it fit with what he knows about himself? The concept that morality is defined by culture logically self-destructs, as seen above. This theory also cannot stand up to the test of experience. Many Americans holding to the secular worldview would recoil at the prospect of this type of violence. It repulses the senses; there is something inherently wrong with it. Morality is not subjective; the abhorrence associated with the murder of newborn babies is not based on subjective, emotional feelings. Killing babies is not wrong because we dislike it—we dislike it because it is wrong! As Frame noted, whether they realize the contradiction or not, people think and act as though objective moral values do exist. To deny objective moral values is to deny rationality itself.9 Secular America’s concept of morality fails the test of outer world experience because it violates clear experience from the real world. This concept of morality likewise fails to account for what people know about themselves. The theory of moral relativism self-destructs when we ourselves have been wronged.10 If we are robbed and beaten in a dark alley, we contact the authorities and seek to have “justice” done. In so doing, we are explicitly appealing to some moral law that has been violated. We are not upset because the criminal has violated a socially constructed law—we are upset because it was not right for us to be robbed and beaten. The test of practice considers whether one can live out their worldview in what Nash termed “the laboratory of life.”12 Can somebody consistently live in harmony within the system he professes? Or, Nash continued, is he forced to live according to beliefs borrowed from a competing system? Can Secular America, given the theoretical tests of reason or experience, live life on a practical basis within the framework of its worldview? It is clear it cannot. Secular America must pirate absolute moral values from Christian theism in order to pass moral judgments of any kind. 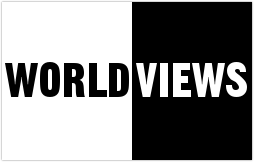 Its worldview violates the law of non-contradiction and commits logical suicide. Secular America likewise plagiarizes a set of implicit, presumed moral values for its worldview. People live their lives every single day with the expectation and tacit understanding that some things are essentially wrong. This argument is illustrated even further when one considers the routine expression of moral outrage everybody expresses when one is wronged on a daily basis. Whether the scenario is being cut off in traffic, being beaten and robbed in a dark alley or being betrayed by a spouse—the feeling of moral outrage is predicated on an assumption of a violation an implicitly understood moral value. Secular America fails the test of practice because it both employs and appeals to moral values in everyday life, but it cannot account for them without borrowing from the Christian theistic worldview. Culture says homosexual marriage is morally acceptable. Therefore homosexual marriage is moral. This worldview is predicated entirely on the validity of premise (1); the conclusion logically flows from that single point. That premise is the single stronghold which the Christian must pull down (2 Cor. 10:4) to logically invalidate the entire worldview. Nash’s three tests of reason, experience, and practice were applied to Kenney and Moreno’s worldview. On that basis, the Secular American worldview has no credible grounds for condemning Chick-Fil-A for its stance on traditional, biblical marriage. It violates the law of non-contradiction and is logically incoherent. It does not measure up to what one knows about the world in general and people in particular. It cannot be lived out in a practical way without borrowing from the Christian worldview. Ultimately, as Christians, we must never be content to stand idly by in the face of attacks against biblical values. The Christian worldview is the only intelligible way of looking at the world, and we must politely but relentlessly engage Secular America from this standpoint—unashamedly presupposing the inerrancy of Scripture in the face of skepticism. As Bahnsen noted, God must never be placed in the dock.14 Indeed, He is never in the dock, and we impugn His character by consigning Him there in the face of attack from a hostile culture. 2 Greg Koukl, “Do All Religions Have Irrational Beliefs?” 12AUG12. Stand To Reason. http://www.str.org/site/PageServer?pagename=Radio_Archives. 13AUG12. Audio mp3 file. 3 Greg Koukl, Tactics (Grand Rapids: Zondervan, 2009), 107. 4 Douglas Groothuis, Christian Apologetics (Downers Grove: InterVarsity, 2011), 332. 5 Craig, Reasonable Faith, 176. 7 Craig, Reasonable Faith, 173. Craig distinguishes between a moral value and a duty. A value means something is good or bad, a duty is something that is right or wrong. For the purposes of this paper, I don’t parse the difference between the two terms like Craig does, but I do retain his basic definition that a value is true whether humans believe it or not. 11 Paul Copen, “A Moral Argument.” In To Everyone an Answer, ed. Beckwith, Francis J, William L. Craig and J.P. Moreland, 110-111. Downers Grove: IL, InterVarsity Press, 2004. 13 Greg L. Bahnsen, Presuppositional Apologetics: Stated and Defended, ed. Joel McDurmon (Powder Springs: American Vision, 2011), 16.